" Institutions world argues, a lot of diversity of flora-fauna and biota biodiversity protected here"
Seribu Islands became one of the areas in Indonesia, which nominated as a candidate winning the title of heritage protection in Asia. Another area was also nominated as a candidate, namely Wakatobi, Papua. 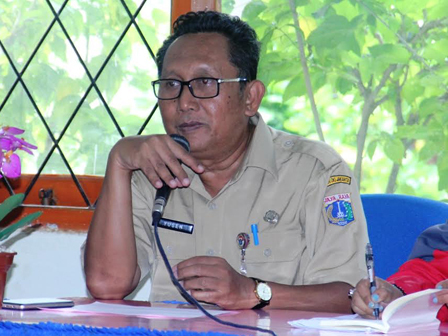 "Institutions world argues, a lot of diversity of flora-fauna and biota biodiversity protected here," said Yusen Hardiman, Head of Seribu Islands Environment Sub-dept., Wednesday (2/8). Seribu Islands Marine National Park Office Head, Evi Haerlina added there were initially four regions in Indonesia nominated as a heritage protection area. Those are Teritis National Park, Gunung Leuser National Park, Way Kambas National Park and Lorentz National Park in Papua. "Hopefully Seribu Islands qualify as the heritage of Asia and the goal of reaching the National Travel Destinations can be realized," she hoped.